Divide the mixture into the 12 cases and place into the oven for 15-20 minutes or until a toothpick inserted comes out clean, then leave to cool. Have fun decorating with Cake Angels Winter Wonderland Christmas sprinkles (and don't forget to tag us in your photos)! See what one of our baking besties made for us! The Blonde Baker created these gorgeous little Christmas cupcakes using our lovely Christmas sprinkles for the festive season. 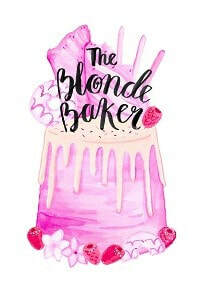 Follow and look out for her other heavenly creations on Insta other bakes on her Insta @theblondebaker_ .